When you think of retail nowadays, you tend to think of the online space. Retail is no longer all about traditional brick-and-mortar stores. That’s not to say brick-and-mortar is going away, but they are closing at record numbers. With retail evolving LinkedIn wanted to see how the talent needs of the retail industry are changing, especially in regards to sales and engineering talent. What LinkedIn found was that there was an emergency of engineering roles within retail, and a slight decline in sales roles. 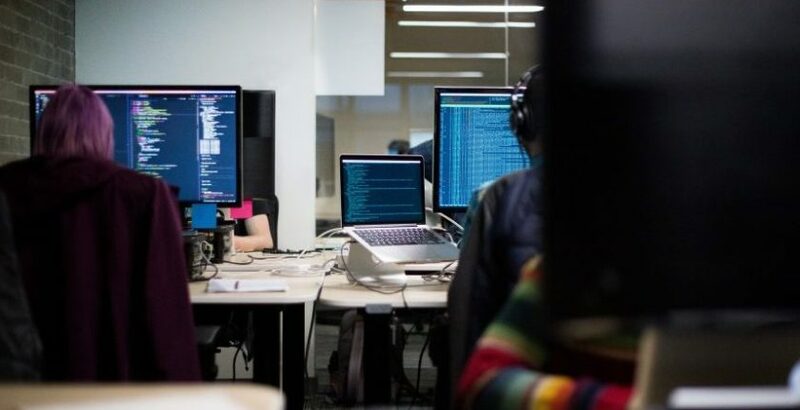 Suddenly, software developers have become one of the most important jobs in retail, with the industry now firmly placing itself what is already a fierce market for tech talent. Here are the most insights we found and what it means for employers and employees in retail and outside the industry. With pretty much every other retail role declining in popularity, sales are still the biggest function in retail. Sales talent makes up 29% of the workforce in retail, which is twice the size of the second-biggest function, operations. Engineering and IT talent are the third most common type of employee in retail, representing 9% of the industry, with support, marketing, and other roles rounding things out. The relative size of sales has shrunk from a peak of 33% of all retail jobs in 2013 down to 29% in 2017. At the same time, engineering and IT grew from 7% to 9% of employees in retail (but more on that later). Despite the drop in the proportion of sales roles, other functions within retail are showing promising growth—particularly in engineering. The demand for engineering and digital skills is growing quickly in retail. For example, the role of ‘Software developer’ is now one of the most common titles in the retail industry. Furthermore, The percent of retail employees in engineering roles has risen from 7% in 2013 to 9% in 2017. Sure that might not sound like a lot, but the speed of the increase is striking, especially when you look at job titles. The single most popular skill among retail developers was Java, a common programming language that’s a is commonly used to build the retailers e-commerce stores. It’s obvious, everyone knows the retail industry is shifting. The move to online shopping and closure of many traditional stores is visible in our everyday lives. But the composition of the industry’s talent is shifting, too. 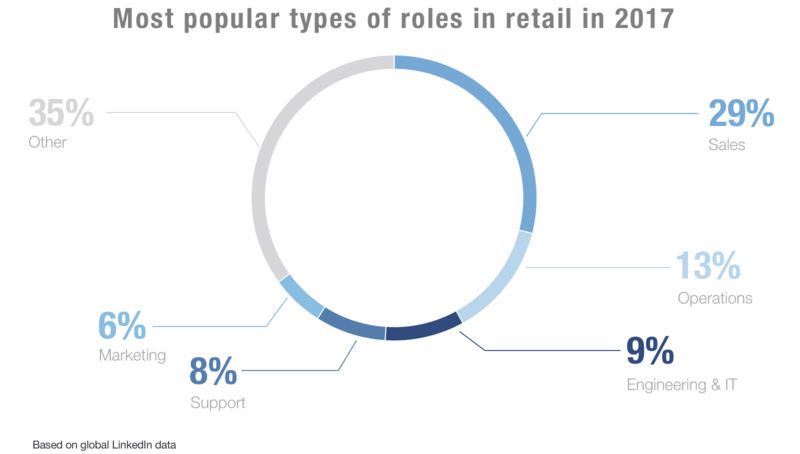 The number of sales associates, traditionally the backbone of retail, is shrinking, as many look for opportunities elsewhere. This isn’t a “death of retail” story, despite the decline in traditional retail roles. This showcases the shift from brick-and-mortar storefronts to online shopping, given the significant growth in tech roles, as retail becomes yet another industry competing for software developers and IT support. About the author: Sharqua Abdullah is an Associate Insights Analyst at LinkedIn.